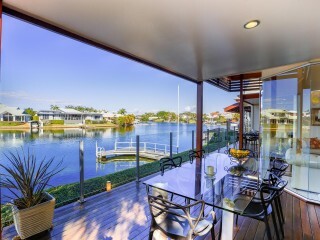 Spacious light filled design and finished to a high standard, this first-class home captures spectacular waterfront views. 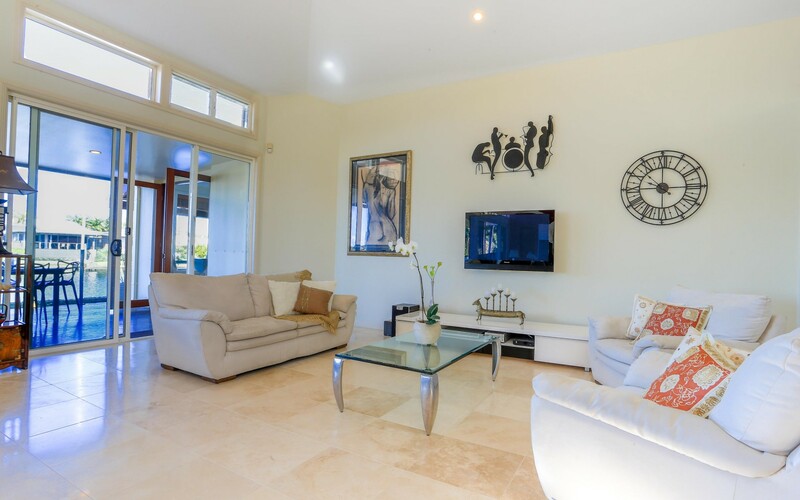 Enjoy the simplicity of single level living, the luxury of a five star resort and the convenience of a coveted dress circle location. 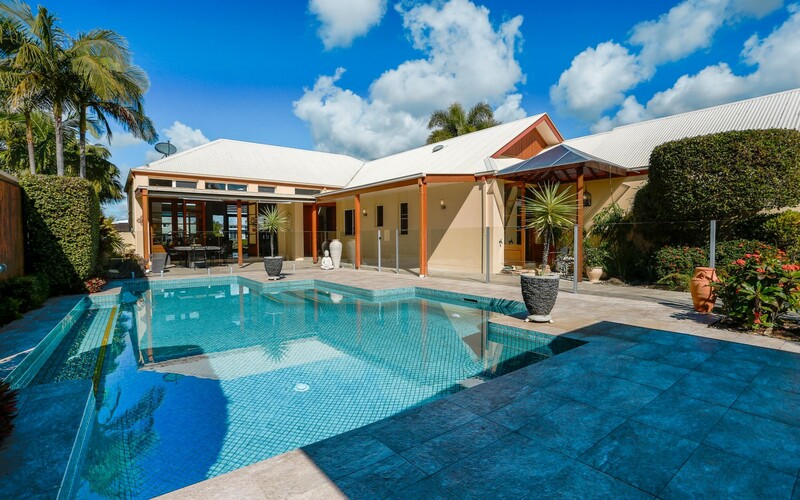 Situated in one of the most sort after positions in Noosa Waters, set on a blue-chip 800m2 lot with a stunning 20 meter waterfront and boasting long water views, this is must see property. 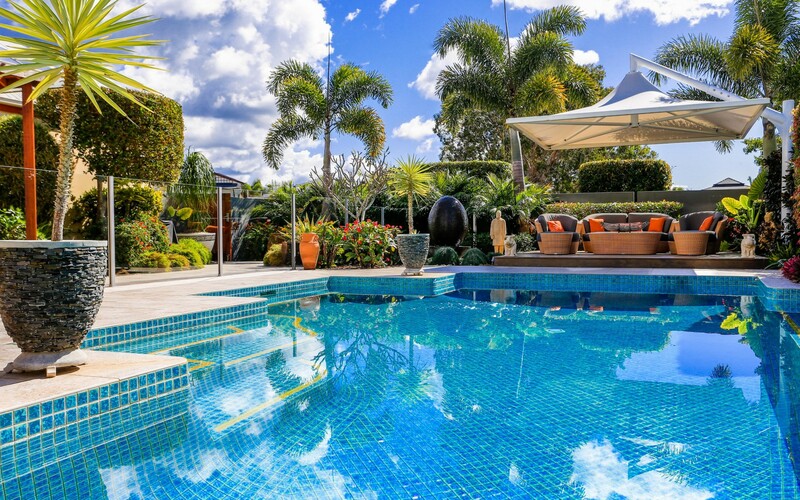 The house was designed by famed architect and builder Paul Clout and features affluent finishes, extra high ceilings, ample glass and light for all season enjoyment. 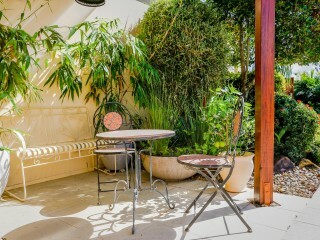 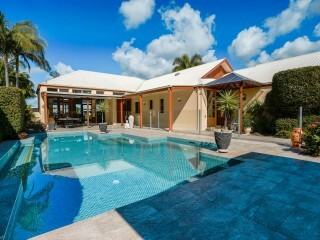 Step inside the main gate of this property and you get a sense of luxury, privacy and space. 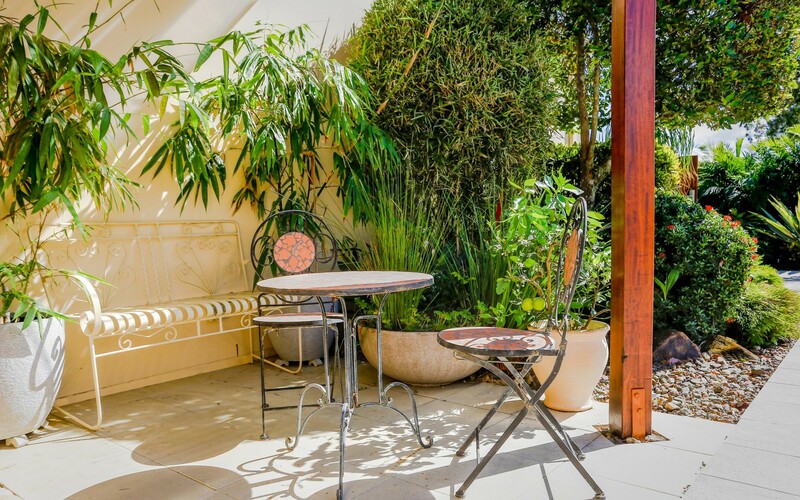 You are immediately greeted by the sun-filled Northern courtyard, majestic fully tiled pool area and multiple entertaining spaces. 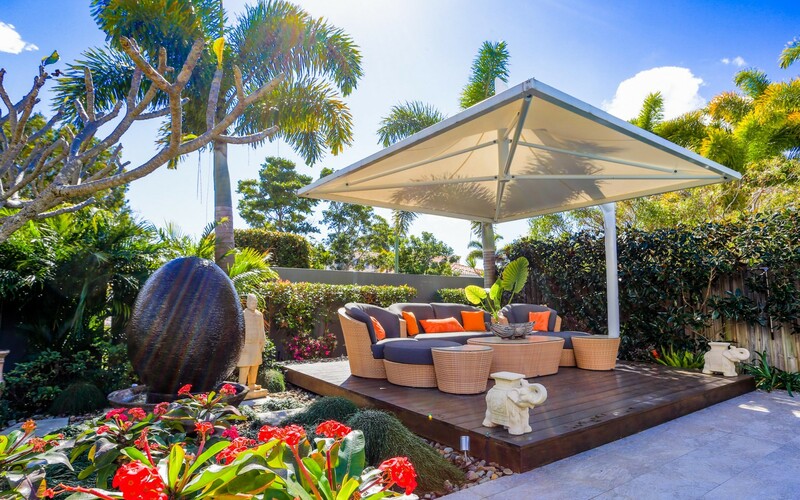 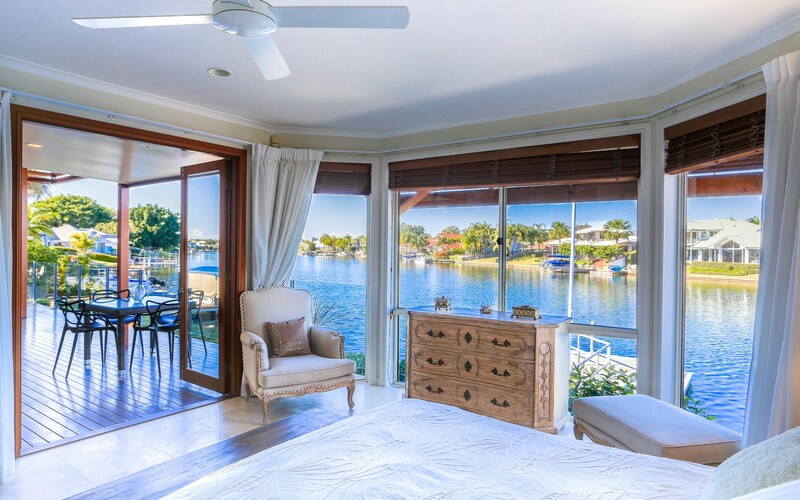 Relaxing poolside on the timber decked cabana or entertaining in the alfresco dining area are just the start of the ‘difficult choices’ that you will be making in this waterfront heaven. 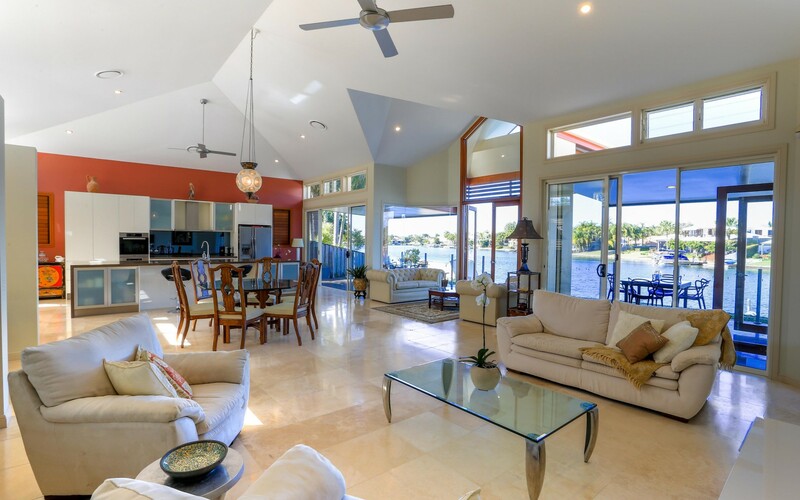 High vaulted ceilings and the clever use of glass draw in both the light and the views making the living area ideal all year round. 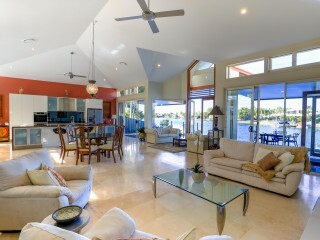 The open-plan design spans the waterfront flowing seamlessly from the central kitchen, dining and lounge to the timber decked veranda on the waterfront, the ideal position for cocktails in the late afternoon. 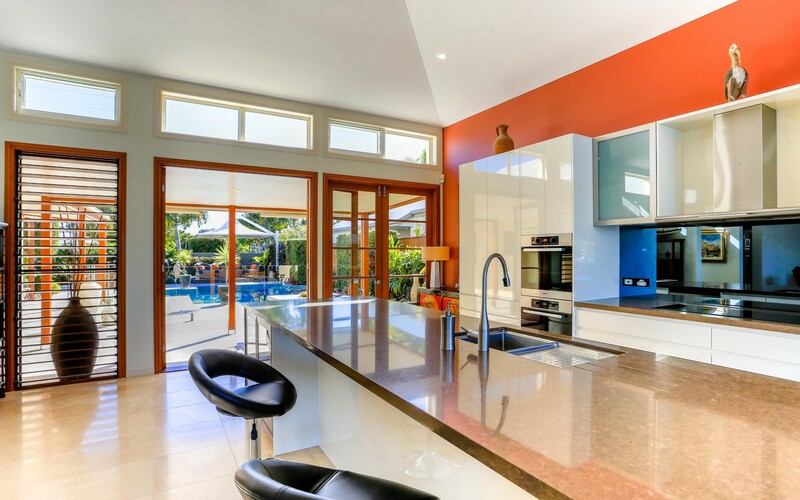 The modern and central kitchen is stunning and has been finished with beautiful 40mm stone benchtops and quality Miele appliances throughout and is sure to delight the home chef. 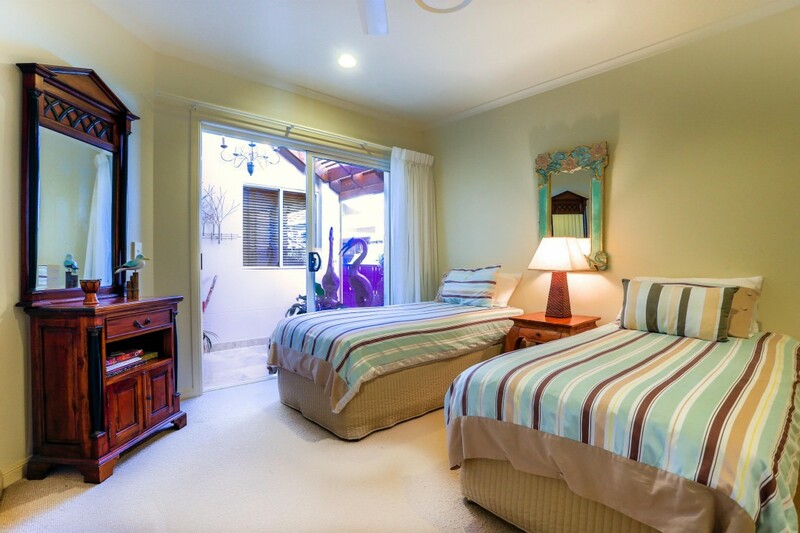 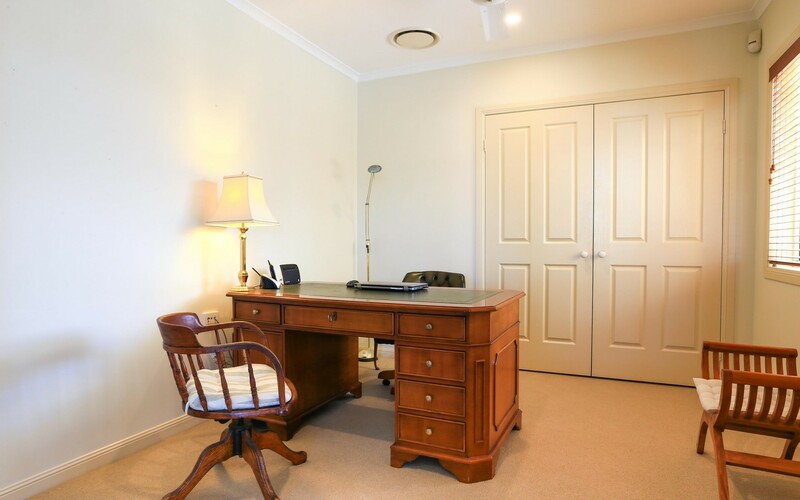 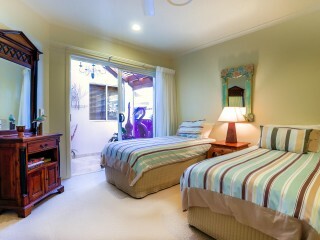 There is ample space for friends and family with 3 luxuriously appointment bedrooms and a study. 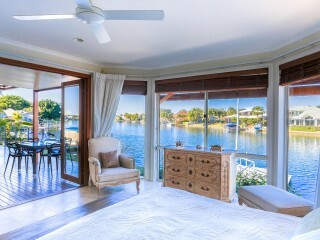 The master bedroom hosts breathtaking water views, walk in robe and stunning bathroom with stand-alone bath and exquisitely tiled feature wall with stone benchtops. 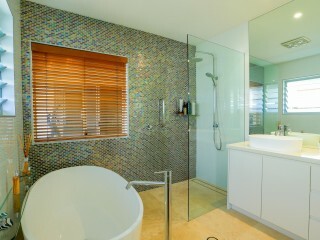 The second bathroom is equally as elegant and your guests will be extremely comfortable and may never want to leave as they can step out onto the pool area and garden oasis from the convenience of their bedroom. 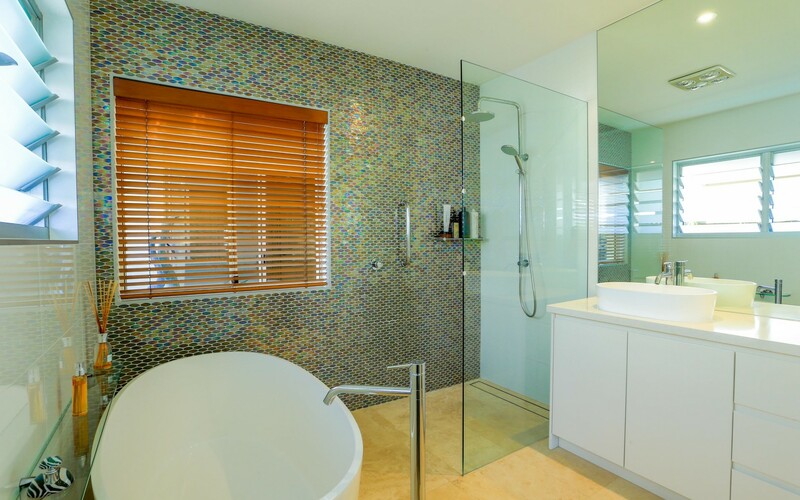 The clever combination of a family bathroom and well-appointed powder room means that the home will comfortably accommodate your guests and family. 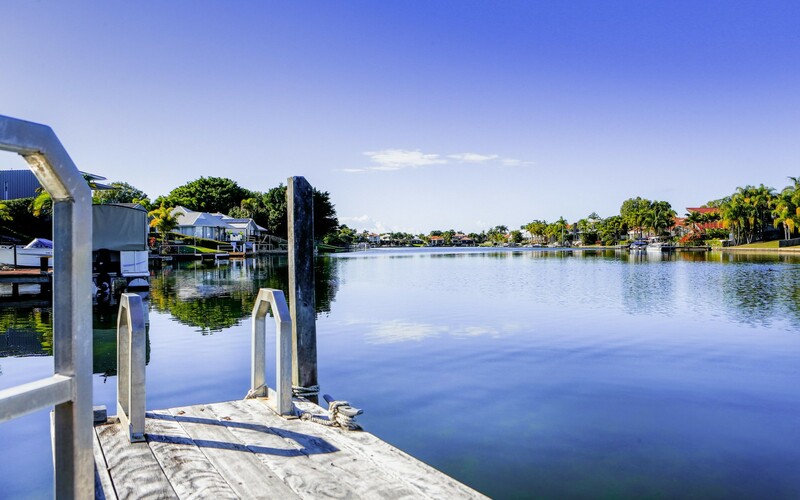 Enjoy some fishing from your timber jetty, a relaxing evening cruise around the waterways or a fun-filled day out on the beautiful Noosa River. 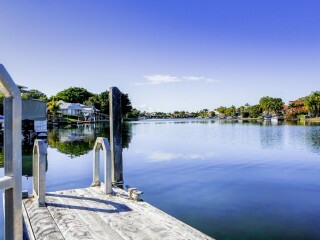 This is every boating enthusiasts dream. 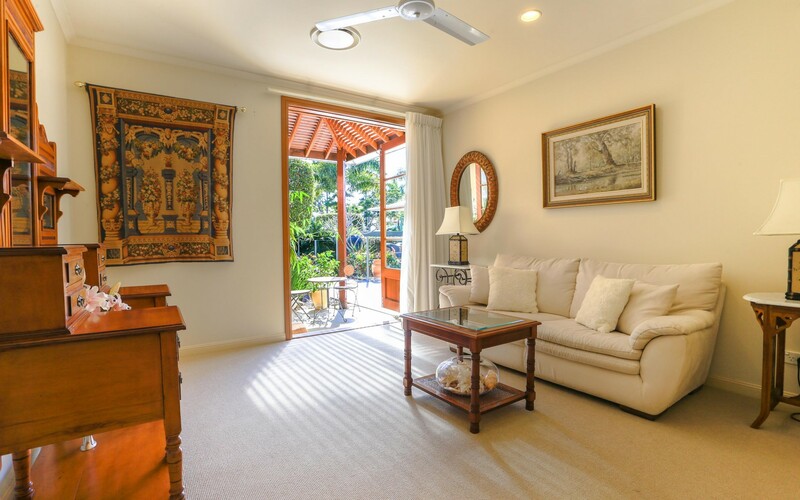 Noosa has it all, pristine beaches, unsurpassed beauty of the National Parks, one of the finest river systems in the country, friendly village atmosphere and bustling precincts, cool café culture and fine dining. 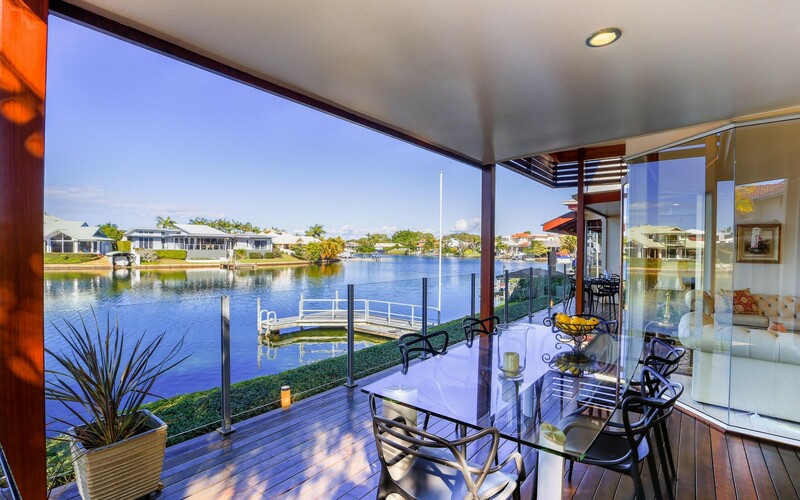 The list of ‘why’s’ are endless and there is no better way to connect with the ‘Noosa’ lifestyle than living in a stunning waterfront home within walking distance or a short boat ride away from it all. 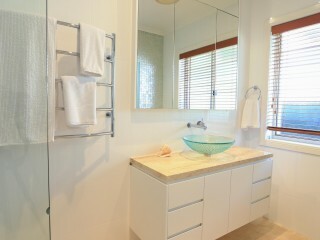 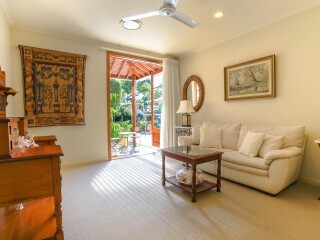 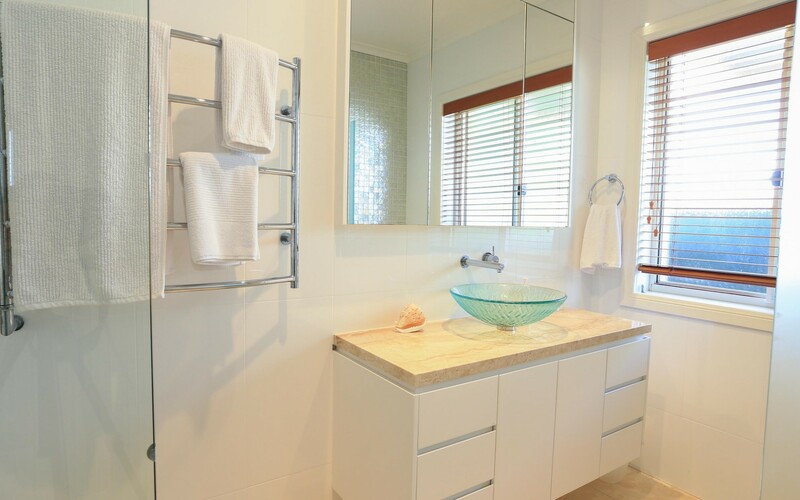 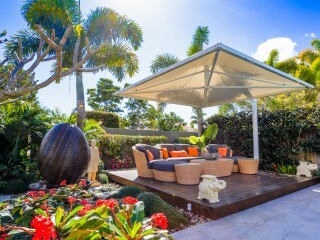 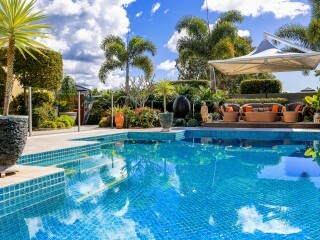 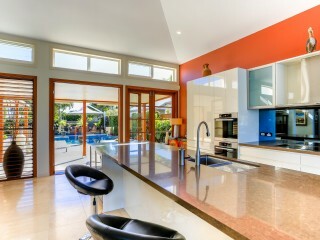 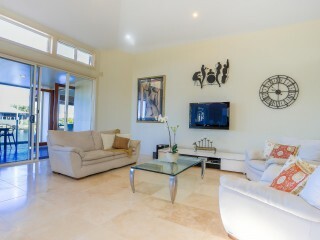 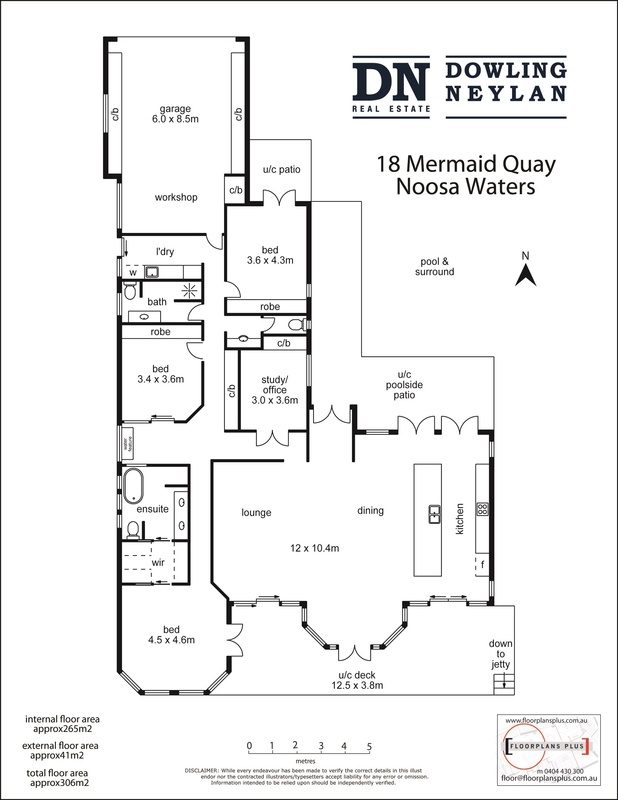 Start living your Noosa dream today by arranging your private inspection of 18 Mermaid Quays, Noosa Waters. 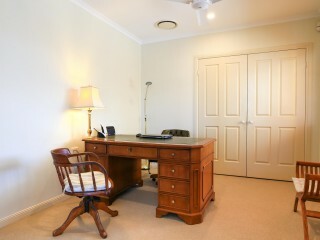 Call Adrian Reed on 0409 446 955.